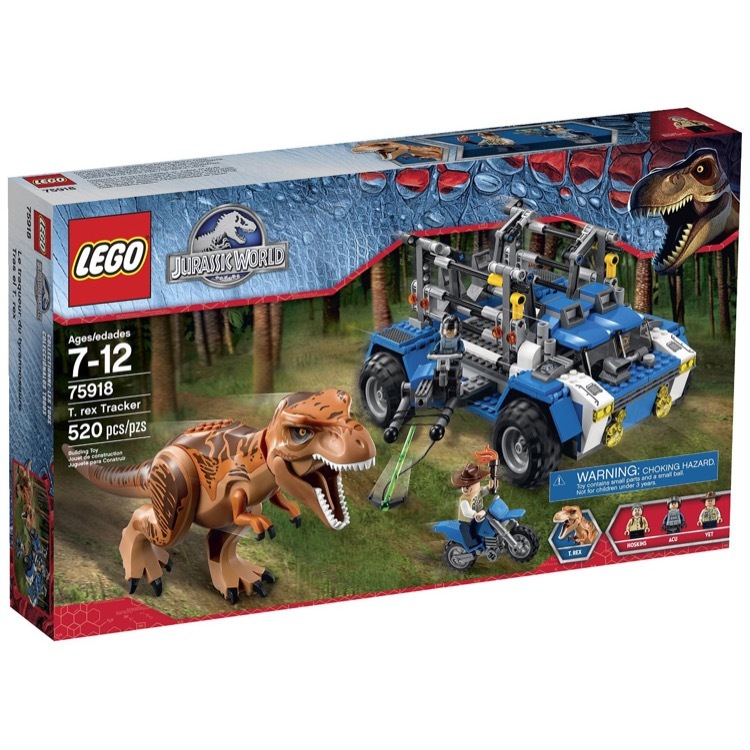 This is a BRAND NEW set of LEGO® Jursassic World 75918 T. Rex Tracker from 2015. This set is still factory sealed and the box is in very good condition with minor shelf wear. 520 pieces and 3 minifigures©. 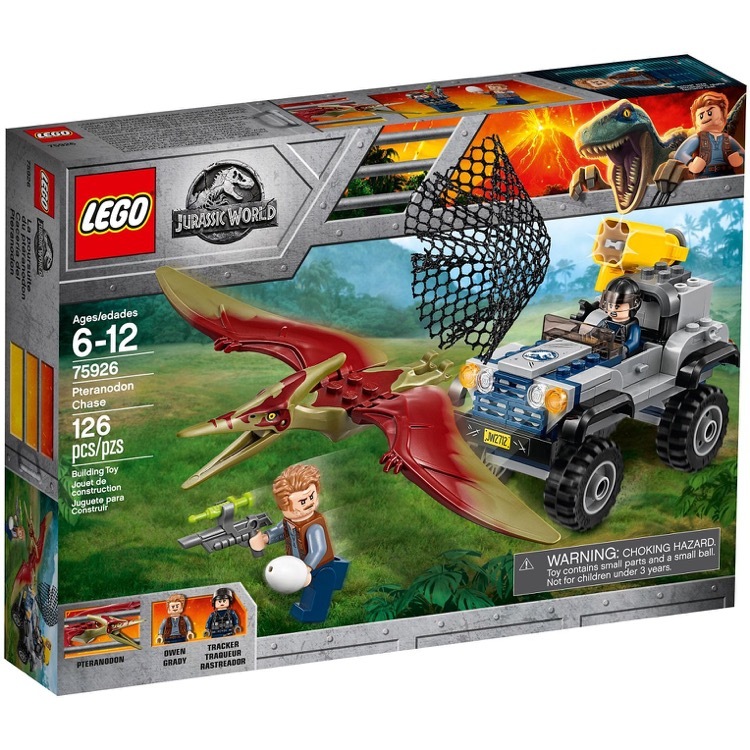 This is a BRAND NEW set of LEGO® Jurassic World 75926 Pteranodon Chase from 2018. This set is still factory sealed and the box is in very good condition with minor shelf wear. 126 pieces and 2 minifigures©. 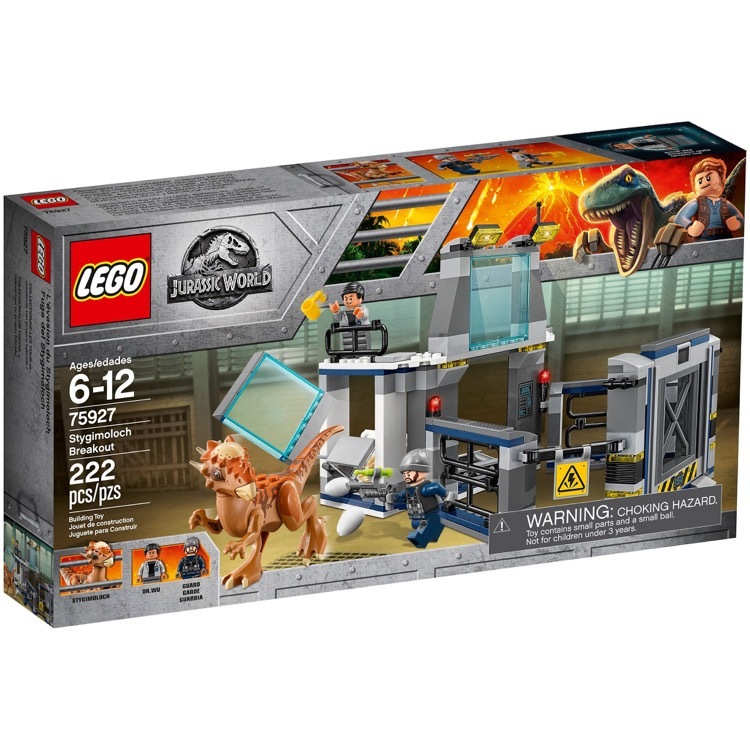 This is a BRAND NEW set of LEGO® Jurassic World 75927 Stygimoloch Breakout from 2018. This set is still factory sealed and the box is in very good condition with minor shelf wear. 222 pieces and 2 minifigures©. 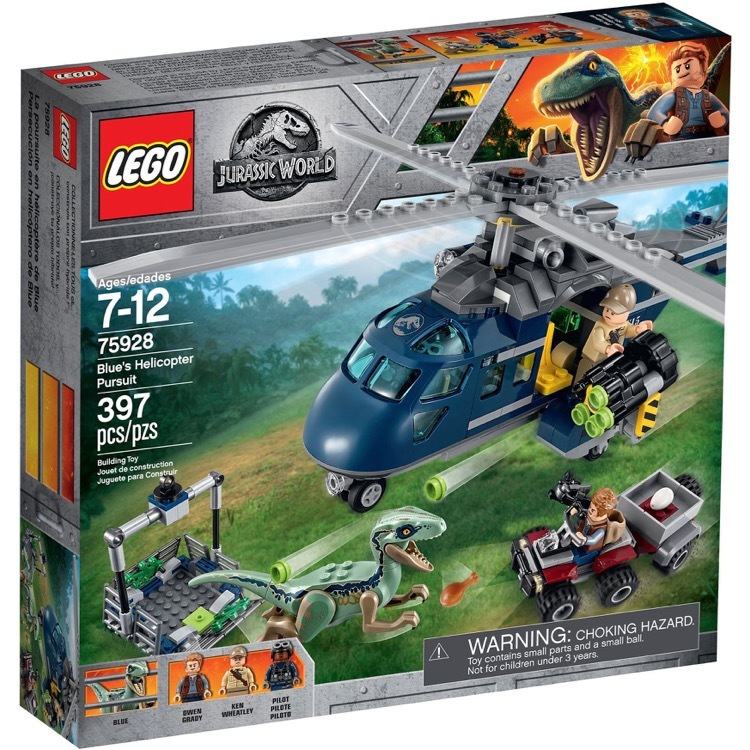 This is a BRAND NEW set of LEGO® Jurassic World 75928 Blue's Helicopter Pursuit from 2018. This set is still factory sealed and the box is in very good condition with minor shelf wear. 397 pieces and 3 minifigures©. 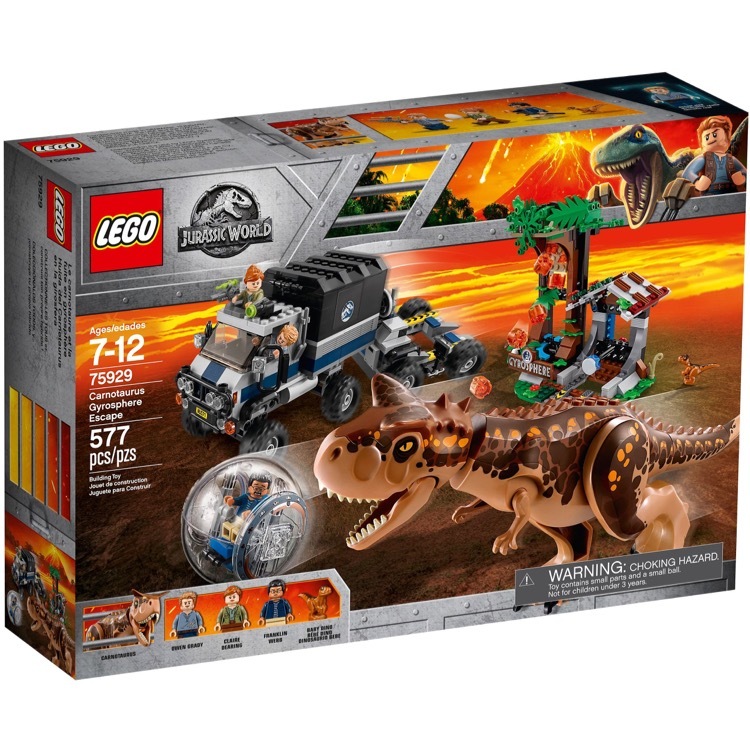 This is a BRAND NEW set of LEGO® Jurassic World 75929 Carnotaurus Gyrosphere Escape from 2018. This set is still factory sealed and the box is in very good condition with minor shelf wear. 577 pieces and 3 minifigures©. 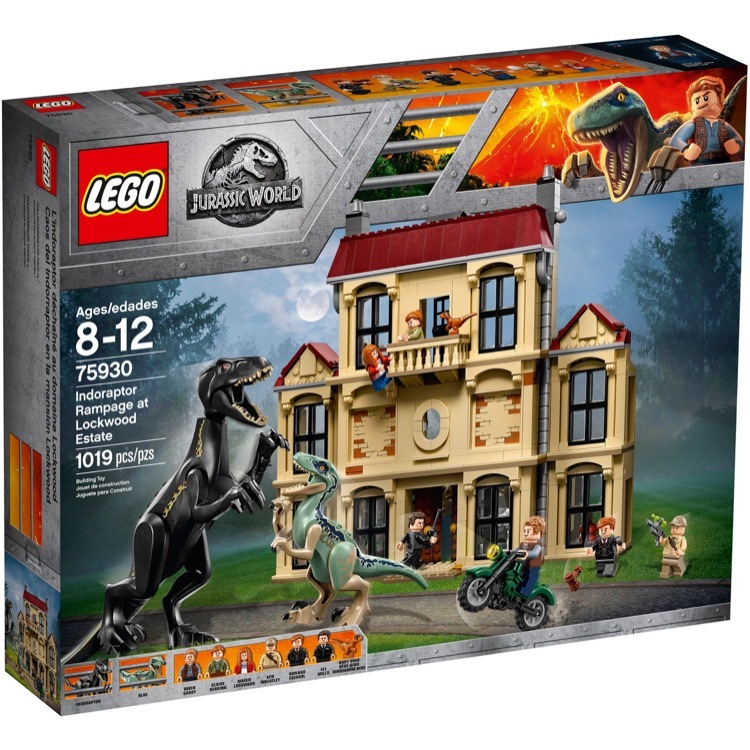 This is a BRAND NEW set of LEGO® Jurassic World 75930 Indoraptor Rampage at Lockwood Estate from 2018. This set is still factory sealed and the box is in very good condition with minor shelf wear. 1019 pieces and 6 minifigures©. 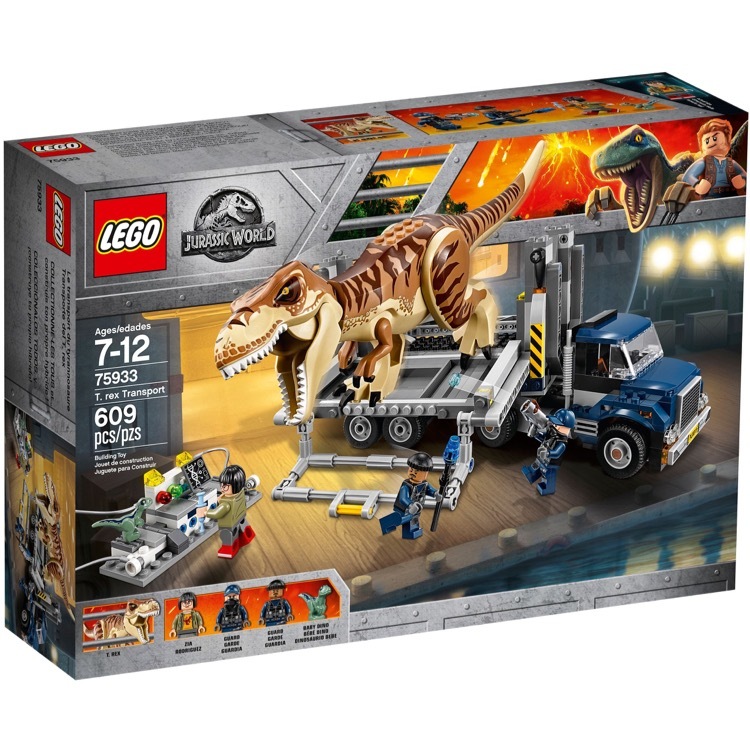 This is a BRAND NEW set of LEGO® Jurassic World 75933 T. Rex Transport from 2018. This set is still factory sealed and the box is in very good condition with minor shelf wear. 609 pieces and 3 minifigures©. 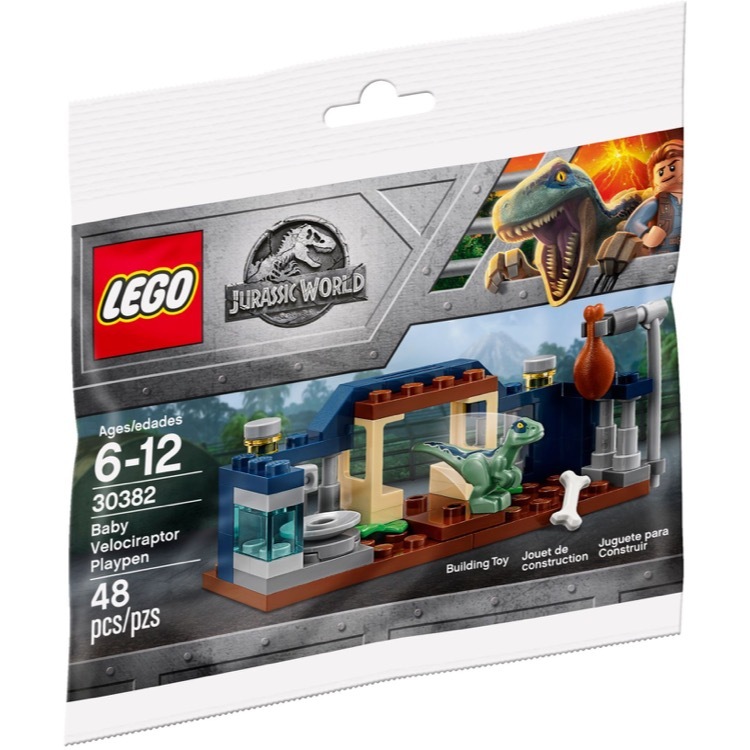 This is a BRAND NEW polybag set of LEGO® Jurassic World 30382 Baby Velociraptor Playpen from 2018. This polybag set is still factory sealed and is in very good condition. 48 pieces and no minifigures©.